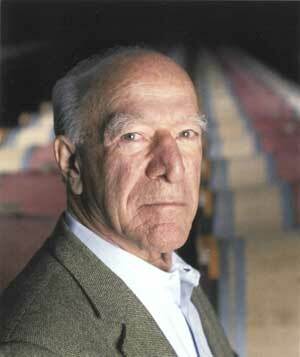 Just wanted to throw in my two cents on the passing of Robert Gerald Mondavi one of the giants of American wine who died at age 94 on May 16th. According to Robert Parker “he had the single greatest influence in this country with respect to high quality wine and its place at the table.” Not that the man was a complete saint though. For details check out the 2007 book “The House of Mondavi” (An altogether worthwhile read- Frederick County Public Library has copies). He did however have a bit of an effect on my life. Every person I’ve ever talked to who is really into wine has had that “aha” moment, where a wine just grabs you, and the penny drops and you no longer see wine the same way. For me that came with two wines in the early nineties, the first of which was a bottle of Robert Mondavi Cabernet Sauvignon. Unfortunately I didn’t pay attention to the vintage, vineyard or anything else, but I remember myself and the future Mrs. Fred being handed the bottle by an Uncle at my Grandmother’s 80th birthday party, who said “try this” and I vividly recall how amazing it was (and that we hogged the remainder of the bottle). At that point I had no idea where it was from, how much it cost, or even what the heck Cabernet Sauvignon was, but it got me interested to try and learn more. And I am still trying to this day!